After the first resurrection of The Burn, I wrote about why and how I managed to fall in love with Buffy the Vampire Slayer despite the fact that I didn’t even see it until after the final episode aired. Now that I’ve watched all the episodes, recovered from the mistake that was Buffy’s final season, reviewed one of the series’ comic book adaptations, and even started mining the spin-off Angel, I figure I’m as ready as I’ll ever be to deliver my sermon on what I consider to be the Ten Best of Buffy. WARNING: There’s no way for me to explain why these episodes deserve Top Ten treatment without giving out a SPOILER here and there. So, now you’re warned. And so, without further preamble . . . Plenty of Buffy episodes deal with magic spells and curses affecting the entire population of Sunnydale. 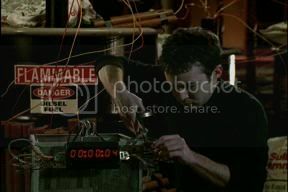 Number Ten in Mick’s Ten Best of Buffy is one of the only episodes in which not only is the spell working as soon as the episode begins, but it actually changes the opening credits. Mixed in with the credits are shots of a short, baby-faced geek brandishing crossbows, disarming time bombs, and just all-around trying and failing to appear like a mixture of James Bond and Buffy’s broody ex-boyfriend. 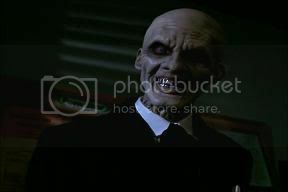 Longtime watchers will recognize him as Jonathan, a Sunnydale High misfit who did little more than take beatings from jocks and monsters alike in the second and third seasons of the show. 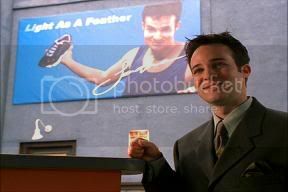 Before “Superstar” his only prominent appearances included a botched suicide attempt in Season 3’s “Earshot” and his presentation of a class award to Buffy later that season in “The Prom”. Jonathan creates a whole new world in “Superstar”. 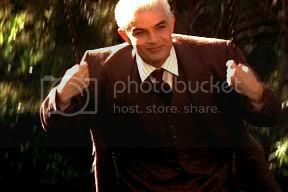 Along with usurping Buffy’s position as premiere superhero of Sunnydale, in his world Jonathan starred in The Matrix, invented the Internet, produced a line of successful Big Band albums, and apparently his trumpet playing is the fire that fuels the passion of Xander and Anya’s relationship. Besides the clever handling of the opening credits and the introduction of the spell, what I liked most about this episode was how Jonathan’s motives and actions were dealt with. While it’s clear Jonathan is the antagonist of the episode and that he wants to keep his illusion alive, he’s never depicted at being at all malicious. At worst, when Buffy begins to figure out what’s going on, he’s evasive and conflicted. When he uses his new status as confidant to both Buffy and Riley (Buffy’s Season 4 love interest), as condescending a prick as he is, he sincerely wants to help them. He’s part of something that will become a common theme in Mick’s “Ten Best Buffy”: an example that the more human Whedon & Co. rendered their bad guys, the more the characters enriched the story. 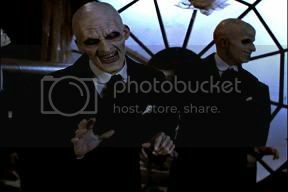 The famous silent episode of Buffy (well, not COMPLETELY silent), “Hush” introduced fans to perhaps the creepiest villains of the series: the wordless, grinning ghouls known as The Gentlemen. A lot is made of the silent aspect of “Hush,” and I won’t deny it’s impressive and entertaining. 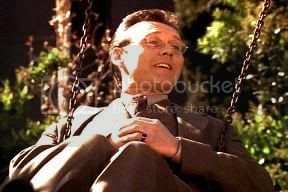 Perhaps my favorite scene involves Giles educating Buffy and the Scoobies on The Gentlemen while using some bloody transparencies on a projector with musical accompaniment. But with or without dialogue, the stars of this episode are The Gentlemen. The physical aspects of monsters on Buffy tended to be adequate at best, campy at worst. It was okay, you accepted it because it was part of the show’s charm, but it was rare that the creative staff managed to design a very simple monster that was genuinely scary. The Gentlemen are such beasts. Caught in perpetual steel grins, floating a few feet above the pavement, and exchanging polite and silent niceties with each other even as they cut out a victim’s heart, The Gentleman were - without a doubt - the most bone-chillingly creepiest villains to ever go toe-to-toe with Buffy. The silent aspect of the episode, for me, was just icing on the cake. 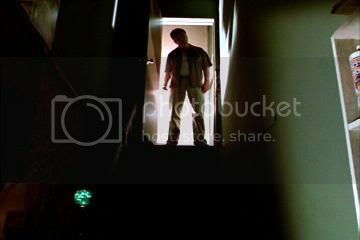 “Restless” is unique in a lot of ways, but first and foremost it differs in that it was the Season 4 finale, and yet was the only finale of any Buffy season that didn’t feature the climax between the forces of good and evil for that particular year. Instead, it deals with a danger that arises after the Big Bad has already been vanquished. In the previous episode, “Primeval”, Buffy defeats a demon/human cyborg named Adam by temporarily merging her spirit with those of Xander, Giles, and Willow. In “Restless”, we find that the spirit of the first Slayer was offended by the merging as she seeks to murder Buffy’s three closest allies in their dreams. Since most of the episode features dream sequences, there’s a lot of Lynch influence here, even a blatant homage (during Willow’s dream sequence there’s an abundance of red curtain everywhere). 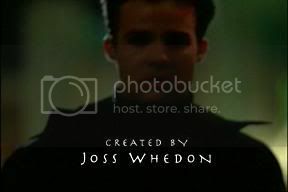 Since I’ve never experienced a dream nearly as coherent as most dream sequences you find on TV or film, I appreciate Whedon’s commitment to nonsense throughout the episode. Characters speak ridiculous lines of dialogue that sometimes hold metaphorical gems, and other times are just a little goofy. Visually, it’s one of the most impressive episodes of the series. Scenes jump between color and black-and-white, locales merge so that Xander’s basement apartment seems to connect to just about every other setting in the series, and perfectly dreamlike scenarios pop up like Giles and Spike on playground swings or Giles doling out his usual research instructions to Xander and Willow, except singing them as a part of a rock band at the Bronze. There’s also some prophesizing in the episode, some obviously intentional, some obviously not. In Buffy’s dream sequence, Tara utters the same words Dracula would speak to her in the first episode of Season 5, and follows it with “Be back before Dawn.” There’s a lot of other stuff in there, but it’s more fun to find it yourself. What I liked most about “Restless,” was that it was the first really sober and serious look at Xander’s character, particularly when it comes to how his situation with his parents has shaped him. It’s hinted at throughout the series, but it’s usually more of a joke than anything (usually used as fodder for Cordelia’s insults). While I know pretty much everything about Xander is treated as a joke, considering the setting (Southern California, in neighborhoods in which wallets aren’t exactly overflowing with food stamps), the “poor boy” jokes always left a bad taste in my mouth. It was one of the few aspects of Buffy that genuinely offended me, though obviously not enough to drive me away. “Restless” was the first time the surface of Xander’s relationship with his family was scratched, though unfortunately it pretty much ended there. Regular Buffy watchers will no doubt notice that all three episodes making up the bottom of Mick’s Top Ten Best of Buffy are from the fourth season. This wasn’t conscious on my part, though it probably isn’t a complete accident. While I feel that overall Season 4 was one of the weakest, it saw a few of the best stand-alone shows of the series. Maybe my opinion of the season as a whole is coloring my opinion of the episodes. I can’t say for sure. See you tomorrow for spots seven, six, and five of Mick’s Top Ten Best of Buffy!